David Gitter is the director of the Party Watch Initiative, where he specializes in research and analysis of authoritative open source Chinese language materials. 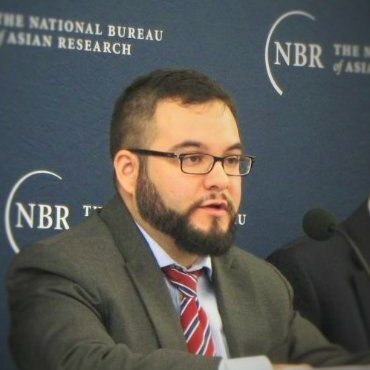 Prior to joining the Project 2049 Institute, he worked in various analytical capacities in the private, public, and non-profit sectors, including the Congressional Research Service (CRS), the Office of the Under Secretary of Defense for Policy (OUSDP), and the Center for Strategic and International Studies (CSIS), focusing on Chinese foreign policy and broader Asian security issues. Gitter received his MA in Asian Studies from the Elliott School of International Affairs at George Washington University. He has lived, worked, and studied in Beijing, China and has working proficiency in Mandarin. The removal of term limits is the culmination of a carefully laid path to increased power. When you see a Chinese commentary signed by Ren Zhongping, Zhong Zuwen, or Guo Ping, it's the government talking. Even seasoned China hands have often overlooked one of the most authoritative channels of CPC influence and power. Does China Care About the South China Sea Ruling? And if not, can Beijing be made to care? China's Innovation Dream: Mission Impossible? Chinese innovation will be stifled by political limits and censorship, unless the Party is willing to make a change. Is China’s Period of Strategic Opportunity Over? China's growing assertiveness reflects the fear that its period of strategic opportunity is drawing to a close. How Can China’s Intellectuals Be Managed? How China's United Front Work Department tries to channel input from non-party intellectuals. The CCP is using a two-pronged approach to ensure discipline among its cadres.